Tonight marks the bittersweet season finale(s) of Community. 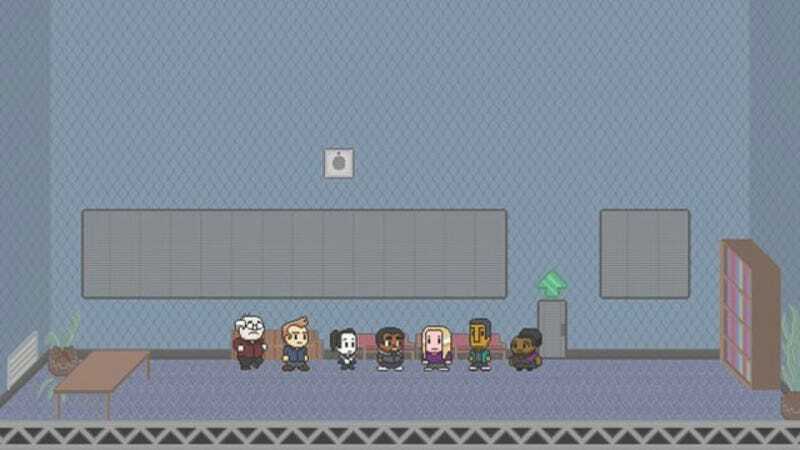 The beloved media nerd show will air its final three episodes of the third season tonight (including one where the gang turns into 8-bit videogame avatars). Though fans feared Community would be canceled, NBC ordered a half season for next year, so the Greendale Humans aren't quite vanquished yet. Though the show is known for its absurdist comic lines, it's also notable for offering bits of wisdom that manage to be both weird and deeply moving. Today, as we anticipate the end of a (mostly) great season of Community, we celebrate the core of truth that structures all great comedy. Here are 10 of the most profound lines from Community, listed in chronological order, from earliest to most recent episodes. Abed: [opens a Christmas gift marked "Meaning of Christmas"] It's the first season of Lost on DVD. 6. It might be about race. Or not. Jeff: It's called chemistry. I have it with everybody. Troy: I realized no one's better than anyone else. Some people are better at sports, and there are magicians, but I was put on this Earth to do something else. Vice Dean Robert Laybourne: So you're going to be what - a plumber? Dean: I thought you were a fly on the wall.